Update: I was lucky enough to be selected for an Honourable Mention from The Flower Challenge – December. Thanks so much! 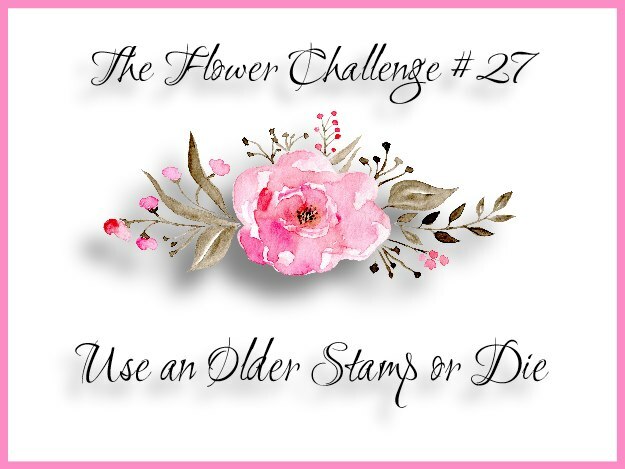 Welcome to our last challenge for 2018, over at Watercooler Wednesday! 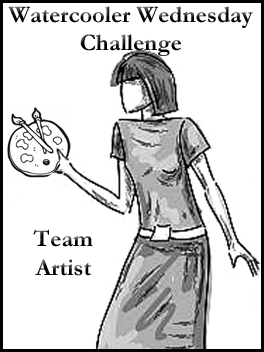 As we are all busy with Christmas and New Year, Marsha’s Special Challenge is Two-Week Year End Anything Goes! This week, I decided to play with a CAS one layer card after all the layers in last week’s card! I started by stamping an old favourite – Papertrey Ink Year of Flowers Poinsettias in the middle of a piece of card, cut to the size of my card front. After some measuring to ensure the tags were evenly spaced, I cut 3 tags using a Nesting Tag die from a local craft store. I then removed the stamped tags and watercoloured them using Distress Inks. For a little relief and interest, I used the 3 dot clusters from Papertrey Ink Harvest Berries set instead of leaves, and the large dot where the tie for a tag would go. The front panel was attached to the card front and the tags replaced to finish the image. I used a Verve Stamps – Glad Tidings sentiment in green at the bottom. I was really pleased with the way this one turned out. I hope you like it too. So simple and easy! We would love to see what you create over the next couple of weeks! Please check out our blog for more inspiration. Wishing you a very safe and happy Christmas and a very happy and healthy 2019! Thanks so much for visiting and your support over the last year. I really appreciate you taking the time to comment. 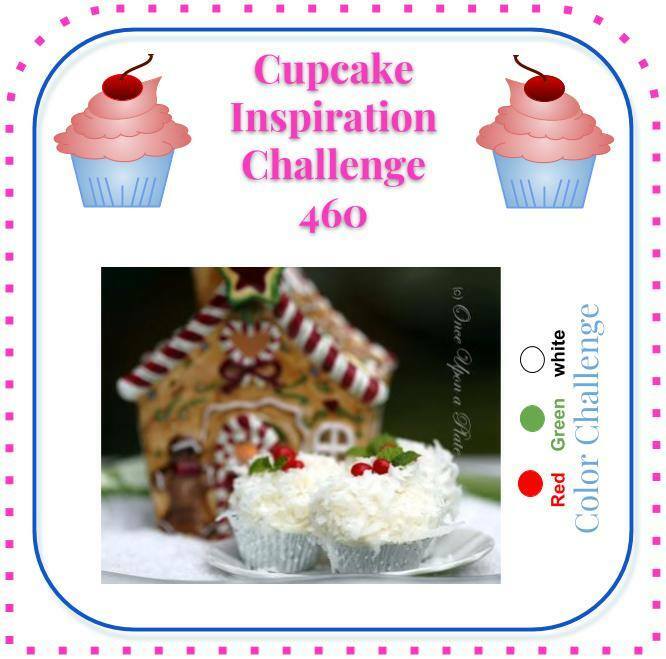 Cupcake Inspiration Challenge #460 – colors red, green and white. What a clever and beautiful design Helen! Wow, Helen! I’m blown away! Your clean and simple one layer certainly turned into something very special, didn’t it? I love the Poinsettia image you’ve stamped and especially keeping it simple by not bothering with leaves but stamping those 3-dot-clusters instead. Cutting your image with the nesting die to create three tags is brilliant. Love the look of colouring only the tag area. This is a unique and wonderful creation. Well done! Have a wonderful holiday. So pretty Helen. I love the way you have done the spotlight with the tags. It really is inspiring. The particia; colouring following the tags looks so super! Makes an ordinary flower so special! 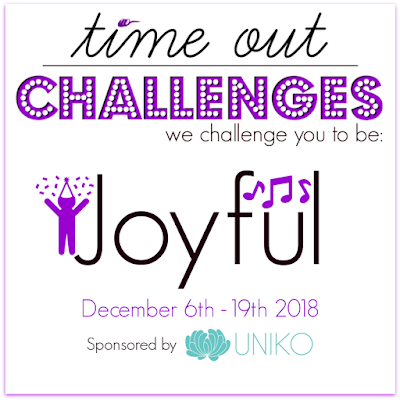 Thank you for joining us at TIME OUT! This is so very pretty. Love that beautiful flower, and how cool are those inlaid die cuts. Thanks so much for playing along at Time Out. Wow Helen! What a brilliant way to spotlight a card and have it as a one layer with the die cut tags. Beautifully coloured. 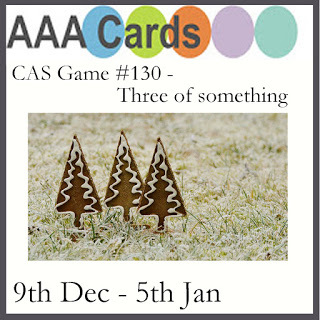 What a wonderful way to finish off your card making for the year. Wishing you a Very Merry Christmas. PS Looks like we will have a lovely cool day. So glad it won’t be like today’s scorcher! Such a very unique and clever use of the tag die. Thanks for playing at AAA Cards. Very clever spotlighting, using that great tag shape. Love it!